Metro Nashville Public Schools has partnered with Vanderbilt Health to provide comprehensive health care services to MNPS and Metro Government employees through five Health Care Center locations in the Nashville area. Our Advanced Practice Nurses (APNs) are board-certified and hold master’s degrees in nursing. They conduct exams, diagnose and manage acute and chronic illnesses, and prescribe medications when needed. Our medical director is an Assistant Professor of Clinical Medicine and Pediatrics at Vanderbilt and is board-certified in Family Medicine. All of our practitioners are highly trained and experienced, and work as a team to provide care that respects your needs, culture, values and preferences. Lori Netti is director of employee health for the MNPS Health Care Centers. She has worked at the MNPS Health Care Centers since they began in 2009, first at the previous Brookmeade location, then at the Two Rivers location. She earned a bachelor’s degree in Spanish from Vanderbilt University in 2005, and a master’s degree in nursing from Vanderbilt University School of Nursing in 2007. Lori is a Nashville native. She and her husband, John, have a daughter and recently welcomed their son in March 2018. She enjoys traveling, cooking and trying new local restaurants. Dr. Shepherd is the medical director for the MNPS Health Care Centers. 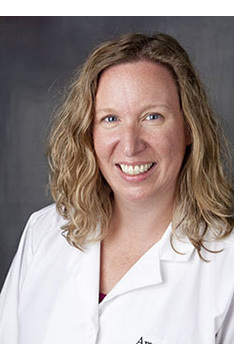 She is an Assistant Professor of Clinical Medicine and Pediatrics at Vanderbilt, and is board-certified in Family Medicine. She joined the faculty of Vanderbilt in 2008, after serving as a medical officer in the United States Navy for 12 years. 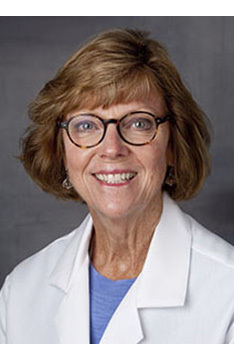 Dr. Shepherd obtained her undergraduate degree from the University of Tennessee Martin in 1997 and her medical degree from Kansas City University of Medicine and Biosciences in 2001. 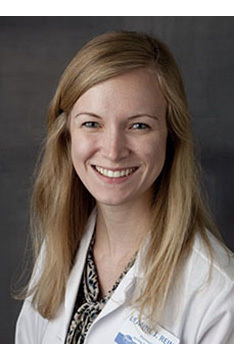 Following medical school, she completed an intern year at Naval Hospital Jacksonville and residency at University of Tennessee/Jackson Madison County General Hospital. She is currently completing a fellowship in Integrative Medicine through the University of Arizona. Dr. Shepherd has a special interest in population health management and in working as part of a collaborative team to provide holistic care to patients. She is certified to teach vinyasa yoga and is a qualified teacher of Mindfulness-Based Stress Reduction (MBSR) through the University of Massachusetts Medical School Center for Mindfulness in Medicine, Health Care and Society. She lives in Brentwood with her husband and her daughter. In her free time, she enjoys spending time outdoors, reading and traveling. Jennifer Hall serves as manager for the MNPS Health Care Centers. 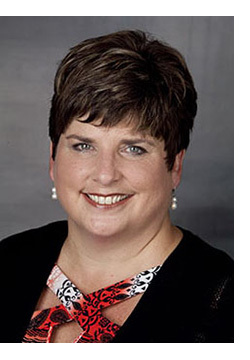 She has 30 years’ experience in health care, specializing in managerial operations. For the past eight years, she worked as the Center’s referral coordinator.Jennifer lives in Williamson County with her husband, Mike. She’s the proud mother of Kayla, Paige and Courtney, and mother-in-law to Trey. She’s an avid dog lover and Alabama football supporter. She enjoys spending time with family and friends, and enjoys camping, fishing and family time at the beach. Jennifer Scruggs Is the office supervisor for the MNPS Health Care Centers. She is passionate about helping others and believes that we have the privilege in health care of doing work that matters. A Nashville native, Jennifer studied speech pathology at the University of Tennessee. Her love of language and serving others initiated a career in administrative management in 2003. She greets each new challenge with a smile and a notebook, and particularly thrives with large, long-term tasks that include an abundance of detail. Jennifer joined the MNPS Health Care Centers team in 2013. She and her husband, Michael, celebrated the birth of their first child in 2017. Her interests include off-road cycling, yoga, meditation and sports, especially the Tennessee Volunteers and Chicago Cubs. Laura Vanderpool serves as assistant manager of Patient Care Services for the MNPS Health Care Centers. She joined Vanderbilt University Medical Center in 1998 and has served across multiple departments. Her job assignments have been multi-faceted and included time with the cardiovascular surgical step-down unit, postpartum women’s health, and the Kim Dayani Center. 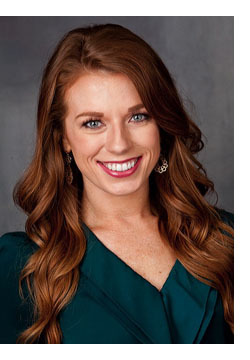 Laura holds a bachelor’s degree in fitness management from Mississippi State University, a master’s degree in exercise science and health promotion from Middle Tennessee State University, and a bachelor’s degree in nursing from Belmont University. Laura is certified in basic life support and advanced life support. She lives in Nashville with her husband, Johnny. In her free time, she enjoys attending Tennessee Titans football games and other sporting events. She is an avid fan of Mississippi State athletics and enjoys traveling and spending time with her family and friends. Karen White has worked for the MNPS Health Care Centers since 2014. Before coming to MNPS, she worked for the Salvus Center, a nonprofit faith-based family practice clinic that focuses on treating patients who have no health insurance. After that, she went to work for Kroger’s Little Clinic. She also spent 25 years working in the hospitality industry in Florida and Nashville. Karen has one daughter, Makayla Ann, and two grandsons. She loves spending time with family and friends and enjoys concerts, amusement parks and anything that involves being outdoors. She also likes to travel, especially to the beach. Anna Gordon is a Registered Medical Assistant who has worked as an office/billing manager, and spent eight years as an instructor teaching billing and coding to medical assistants at Nashville’s Remington College and Brightwood College. She also spent five years as a student externship coordinator. Before coming to the MNPS Centers, Anna worked at Women to Women Healthcare in Columbia, Maryland; Green River Heart Institute in Owensboro, Kentucky; and Nashville Foot & Ankle and for Dr. Maria Frexes in Nashville. Anna devotes time to working with charities, including The Bridge Ministry, and raises awareness and support for the Cystic Fibrosis Foundation. She and her husband Jeff have five children and four grandchildren. She enjoys spending time with family, watching movies and running. Monica Christian serves as triage nurse at the MNPS Health Care Centers. Her nursing career began in 1982. She previously worked at Nashville Memorial Hospital, Centennial Medical Center and Skyline Medical Center. 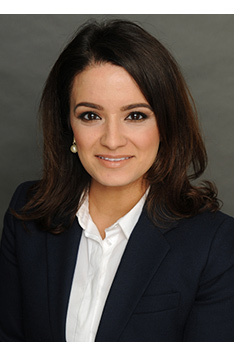 She has worked in labor and delivery, orthopedic surgery, and vascular and neurology specialties. She received her associate’s degree in nursing from Belmont University.Monica has three children who are all currently students at Tennessee Tech University majoring in nursing. She enjoys sewing, crafts and crocheting, and is involved in her church’s recreational youth ministry and summer camp. Suzan Ali is Pharmacy Manager for Kroger Pharmacy at the MNPS Employee Wellness Center. She earned her Doctorate of Pharmacy and a master’s degree in business administration from Shenandoah University. 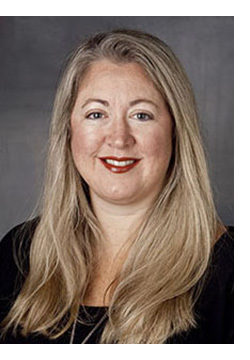 She holds affiliate clinical faculty positions at many pharmacy schools in Middle Tennessee, including the University of Tennessee, Lipscomb University and Belmont University. Suzan also serves as clinical services preceptor for UT’s PGY1 pharmacy residency program. She joined Kroger in 2000 as an intern while attending pharmacy school. After graduation, she worked as Lead Provider Educator and Clinical Pharmacist for First Health Services Corporation, the pharmacy benefit manager for TennCare, while also working part-time at Kroger as a staff pharmacist. In 2007, Suzan transitioned into the role of Patient Care Specialist and then Coordinator at Kroger, managing clinical program operations and training for 24 area stores. She also served as an adjunct professor at Belmont University’s Physical Therapy program for three years, where she directed the pharmacotherapeutics course. Suzan is an active member of many pharmacy organizations. She serves on the Dean’s Advisory Board for Shenandoah University School of Pharmacy and the American Pharmacists Association Editorial Advisory Board for Electronic Publications. She lives in Brentwood with her husband and two children, and enjoys spending time with family, rollerblading and traveling. 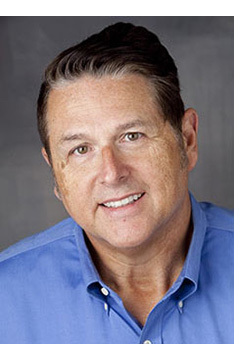 Don Bursch received his bachelor’s degree from Dartmouth College and completed his physical therapy training at the University of Kentucky, graduating with honors in 1983. He has many years experience treating a wide range of orthopedic conditions, specializing in spine, shoulder and foot/ankle. Don successfully established the first outpatient physical therapy clinic at Donelson Hospital in 1986 and was named Director of Sports Medicine in 1987. 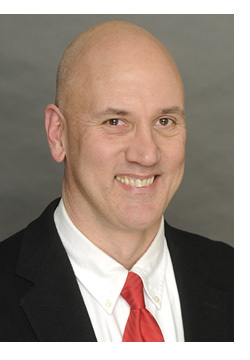 In 1988 he was the first outpatient physical therapy manager at Vanderbilt Medical Center Rehabilitation Services and was subsequently made Team Manager for all outpatient orthopedic PT and OT services. In 1996 he became the chief physical therapist for onsite rehabilitation services at the Nissan Automotive Plant in Smyrna, Tennessee, serving for six years with a focused effort to reduce their injury rate via exercise and ergonomic training. In 1999, the American Board of Physical Therapy Specialties granted Don the title of Orthopedic Clinical Specialist. In 2002 he began a 10-year experience working with the custom foot orthotic industry, helping define better orthotic design by identifying key biomechanical goals of correction. He has given talks domestically and internationally to teach providers and the insurance industry what qualifies as ideal custom foot orthotic practice. In 2012, he returned to regular outpatient orthopedic patient care at the Vanderbilt Orthopedic Institute. And in 2017, he brought his physical therapy skills to the MNPS Employee Wellness Center. Charlotte Covington worked as a family nurse practitioner at the MNPS Health Care Centers for three years before retiring in 2012, but still works part-time as needed. Before becoming a family nurse practitioner, Charlotte worked as an emergency department nurse for 18 years. She earned both bachelor’s and master’s degrees in nursing from Vanderbilt University School of Nursing (VUSN). 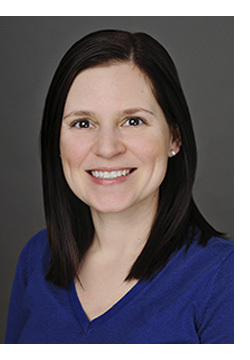 Katie Dowdall is a board-certified family nurse practitioner with a six-year background in emergency and trauma nursing. She believes in delivering individualized, compassionate and evidence-based care. She received her bachelor’s degree in nursing from the University of Tennessee in Knoxville and her master’s degree in nursing from East Tennessee State University. 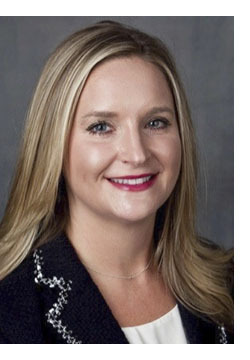 Before joining the MNPS team, she worked as an emergency department registered nurse in the University of Tennessee Medical Center’s Level 1 Trauma Center and Vanderbilt’s Level 1 Trauma Center. Katie grew up in Franklin, where she lives with her husband, Jamie, and their chocolate lab, Hawk. She is a loyal UT Vols fan, loves country music and enjoys spending time with family and friends at a beach or lake. 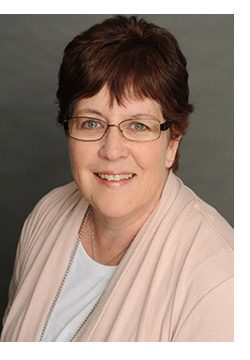 Catherine Evans is a board-certified family nurse practitioner with six years’ nursing experience. She earned her bachelor’s degree in biochemistry and cellular biology from the University of Tennessee, her master’s in nursing from Vanderbilt School of Nursing, and her doctorate in nursing practice from Belmont University. She’s a faculty nurse practitioner and serves as a student preceptor for Vanderbilt School of Nursing. Before coming to MNPS, Catherine worked at a family practice in Chattanooga. She has a special interest in diabetes care and complementary health therapies. She and her husband Gabe have one daughter, Harper. Ryan Fitzgerald earned a bachelor's degree in exercise science with a focus in health fitness from the University of South Carolina. He moved to Nashville and joined Vanderbilt in 2018. He enjoys hiking with his dog, Blueberry. His hobbies include traveling, anything cookie-related and all sports. He is a diehard Gamecocks and Patriots football fan. Dr. Keith Graves received his bachelor of science in human biology in 1986 and his doctor of chiropractic degree in 1988 from Logan College of Chiropractic in St. Louis. He is a certified chiropractic sports physician by the American Chiropractic Board of Sports Physicians, and is certified in kinesio taping. 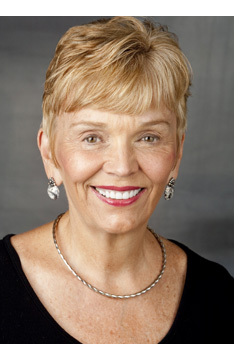 Dr. Graves has been in private practice for 30 years and has worked in Nashville since 1989. He serves on various committees for the State of Tennessee, including the Medical Advisory Committee for Workers Compensation and the Workers Compensation Advisory Committee. His interests include hiking, exercise and playing the drums. Josh Greensweig majored in health sciences with minors in sports medicine and psychology at the University of Miami. He earned a doctor of physical therapy degree from the University of Minnesota and completed residencies at Evidence in Motion and Park Nicollet Health Services in Minnesota. He is a certified specialist in physical activity in public health (American College of Sports Medicine) and also is certified in blood flow restriction training. Josh's clinical approach involves collaborating with patients to develop a plan of care addressing their goals. He is also passionate about population health and health equity, particularly in the area of physical activity participation. 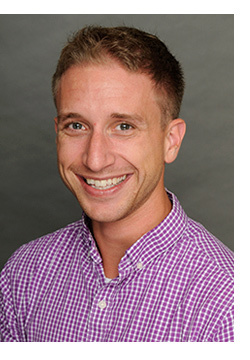 Josh is active in his field and is a member of the American Physical Therapy Association, American College of Sports Medicine, the Tennessee Physical Therapy Association and the National Physical Activity Society. He has served on a variety of state and national committees related to global health and government policy. Josh tries to get outdoors as much as possible. He enjoys traveling, hiking, sprinting, lifting weights, playing tennis and cooking. He's also a die-hard Miami Hurricanes fan. Johnsie Holt is the Staff Wellness Coordinator for Metro Nashville Public Schools, where she develops wellness promotion programs and events for MNPS teachers and staff. She earned a master’s degree in health from Austin Peay State University. Johnsie manages Fitness Center operations at the MNPS Employee Wellness Center at Berry Hill. She schedules classes and implemented a fitness orientation program conducted by Vanderbilt Fitness Associates to help teachers and staff gain confidence in their journey to more active lifestyles. Prior to her current role, Johnsie worked with the MNPS Coordinated School Health program for more than six years. 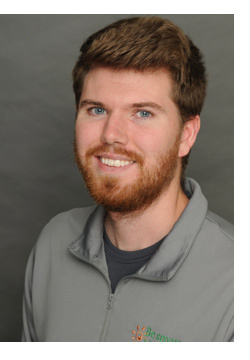 Before joining the MNPS Fitness Center, Kreg Kinnaman earned a bachelor’s degree in science with an emphasis in athletic training from Cumberland University. He earned a master’s degree in exercise science from Arkansas State University. He is married to Victoria, a neonatal intensive care unit nurse at Vanderbilt Children’s Hospital. They have an Australian shepherd named Ember. Kreg enjoys spending time with family and friends, watching sports and traveling. 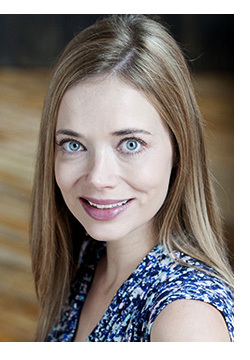 Alexandra Kuchler is a board-certified psychiatric nurse practitioner who specializes in treating anxiety disorders, depression and attention difficulties. 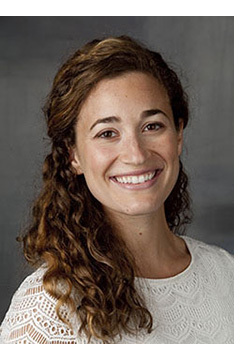 After completing her undergraduate degree in behavioral neuroscience, she received a bachelor of science in nursing from Columbia University’s accelerated Entry to Practice (ETP) program. She then went on to get her master’s degree in psychiatric nursing from Rutgers University. Alexandra has experience treating both adults and children, and has worked in private offices and non-profit organizations. She is a compassionate provider who believes in treating the person as a whole, not as a disorder or diagnosis. In her free time, she enjoys yoga, spending time outside, and trying out new recipes on her friends and family. 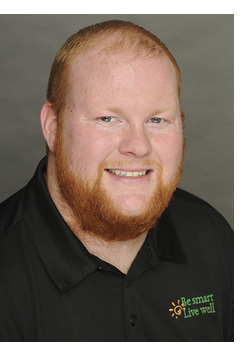 Kurtis J. Lewis is a National Academy of Sports Medicine (NASM) certified personal trainer. A Georgia native, Kurtis received a bachelor of arts degree from the University of Alabama in telecommunications/film with an emphasis in broadcast news, and a master’s degree in human performance with an emphasis in sports management. He has CPR/AED certification as a professional rescuer and health care provider. Kurtis previously worked as a fitness/wellness coach and certified personal trainer at the YMCA. He is an advocate of improving health through proper nutrition, healthier lifestyles, and exercise. He enjoys playing sports, bowling, cooking, reading, photography, traveling and exercising. He values his religion and spending quality time with family and friends. Alyssa Miller is a board-certified nurse practitioner specializing in adult and geriatric care. She has spent her career working with these patients in rehabilitation, memory care and primary care settings. She is originally from Connecticut but moved to Tennessee to further her career in nursing. 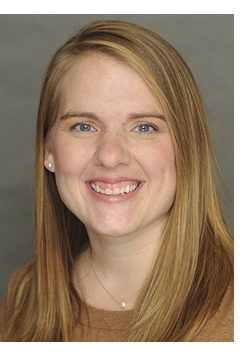 Alyssa holds a bachelor’s degree in human development from the University of Connecticut, a master’s degree in geriatric care from the University of Massachusetts, and earned bachelor’s and master’s degrees in nursing from Vanderbilt University. Alyssa lives in Thompson’s Station with her husband Scott and two dogs, Sadie and Stella. In her free time, she enjoys boating, traveling, attending Nashville Predator games and cooking Italian food. Dr. Rob Moore provides psychological evaluations for MNPS teachers, administrators, staff and dependents to aid in the overall diagnostic and treatment process. He received his first PhD from Vanderbilt University, then went on to earn a second doctorate in psychology with an emphasis in health psychology and behavioral medicine.Dr. Moore has conducted psychological evaluations in area school systems, in private practice, and for the departments of correction and youth development. His subspecialties are diagnosing and treating ADHD, affective disorders and anxiety disorders. He maintains an active research agenda and is currently conducting two studies exploring the connections between health and spirituality. His past experiences in the school system, along with his practice, studies and health research, have provided the foundation for an integrative healthcare model for those who work in educational settings. 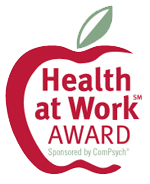 Dr. Moore is grateful to be a part of the Vanderbilt Health-MNPS wellness program, as well being able to contribute by providing psychological evaluations to the community.Dr. Moore lives in Franklin with his wife, and they enjoy spending time with their two grown daughters and granddaughter, as well as walking, traveling and attending college football games, concerts and plays. 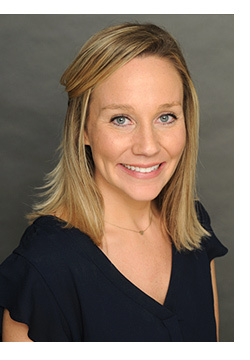 Brittany Myczkowski worked in various outpatient orthopedic and neurologic settings in Pennsylvania, Virginia and Tennessee before joining the MNPS Employee Wellness Center as physical therapist. 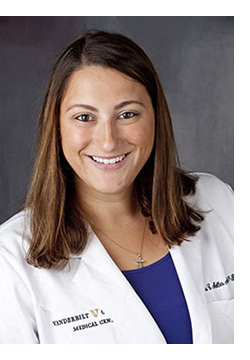 She graduated with her Doctorate of Physical Therapy from Arcadia University in 2013. Brittany enjoys practicing yoga and has a special interest in the mind-body connection. While the physical therapy process may not be easy, she hopes each patient experiences some laughter and kindness along the way. Bobbi Nickel is a seasoned registered nurse. She has worked as a missionary nurse, clinical nurse and holistic health coach. 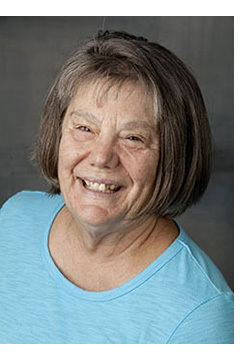 She received her associate’s degree in nursing from Northwestern Michigan College and her bachelor’s in nursing and master's in nursing education from Western Governors University. Bobbi is certified as a holistic health consultant by the Institute of Integrative Nutrition and as a health and wellness coach by Wellcoaches, which is affiliated with Harvard. She is also certified as a cancer support educator by the Center for Advancement in Cancer Education. She is a Care Coordinator at the MNPS Employee Wellness Center, serving as a holistic health coach. Bobbi lives in Spring Hill with her husband, and she loves spending time with her five children and 12 grandchildren. 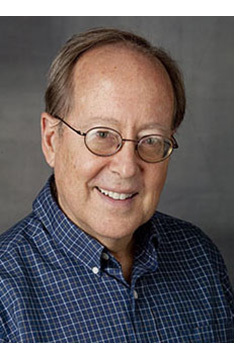 Dr. Louis Obersteadt has practiced natural health care in Nashville since 1977. He received his Doctor of Chiropractic from Logan Chiropractic College in Missouri in 1976. He earned the title Diplomate of the International College of Applied Kinesiology (DIBAK) in 1984. Dr. Obersteadt became interested in chiropractic after suffering neck, shoulder and arm pain so intense he had to sleep sitting up in a chair. At that time, he was in a US Army Reserve Hospital and had access to excellent medical care, but that care was not helping his condition. After moving to Omaha, his condition became worse. His wife, Mary, suggested he try chiropractic. The outcome, in his words, was “unbelievable.” He was able to sleep all night after two weeks and was play golf and softball again after six weeks. Leanne Rein, Pharmacist | Pharm.D. Leanne J. Rein serves as Pharmacy Co-Manager for Kroger Pharmacy at the MNPS Employee Wellness Center. She earned her Pharm.D. 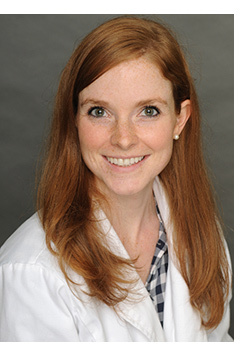 from Samford University McWhorter School of Pharmacy, then completed a one-year post-graduate residency with Kroger and University of Tennessee, earning her teaching certificate from UT during this time. Since completing her residency, Leanne has worked at various Kroger pharmacies. She also serves as affiliate clinical faculty at UT and is a residency preceptor for Kroger. Leanne lives in Nolensville with her husband Andrew. She enjoys spending time with family, watching college football, and cheering on the Preds! 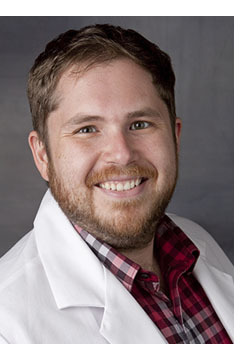 Ray Romano is a family nurse practitioner with experience in research and quality improvement. His focus is on health services research, and his specific interests are in the detection, diagnosis and care of dementia in the primary care setting. 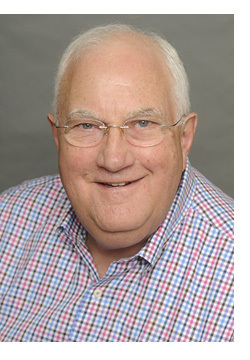 He earned his bachelor’s degree in biology at Marymount Manhattan College, his master’s degree in public health from Boston University and his master’s degree in nursing from Vanderbilt University.Ray’s interest in dementia began as an undergraduate studying the role a certain protein plays in insulin-related neurodegenerative diseases and how it contributes to Alzheimer’s disease. While at Boston University, he worked in clinical research at the school’s Alzheimer’s Disease Center, then moved to Nashville to join the Vanderbilt Memory and Alzheimer’s Center. He also completed a yearlong fellowship at the Department of Veterans Affairs, focusing on quality improvement. 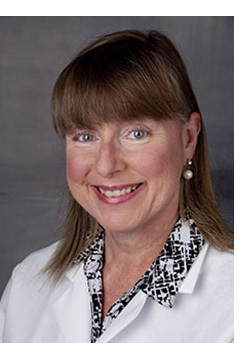 Marty Sutherland is a board-certified family nurse practitioner. She received her bachelor’s degree in nursing from George Mason University in 1977 and her master’s in nursing from the University of Tennessee Health Science Center in Memphis in 1989. Marty served in the Air Force and Navy Reserve as both a nurse and family nurse practitioner for 15 years. She has worked at the MNPS Health Care Centers since they opened in 2009; prior to that, she worked at the Vine Hill Community Clinic. She lives in Brentwood with her husband, Josh, and has two daughters, Leah and Meg. In her spare time, she helps her husband with their small businesses, works out at the YMCA and cheers on the Tennessee Titans and Vanderbilt Commodores. 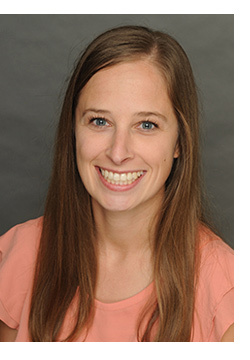 Sara Wade is from the St. Louis area and earned a bachelor’s degree in exercise science at the University of Dubuque in Iowa. She was a college athlete, playing softball there for four years. Sara is passionate about helping others achieve health and fitness goals in and out of the gym. 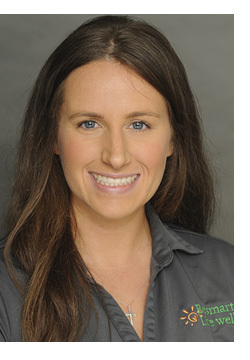 She specializes in working with athletes and is assistant soccer and softball coach at Harpeth Hall. She also loves spending time with her horses when she visits her family in Missouri. 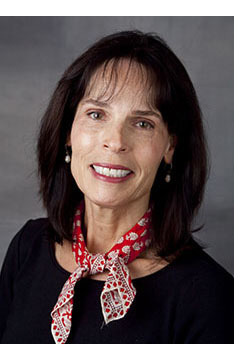 Barbara Wolff is a board-certified family nurse practitioner with experience in community health and home care. She earned her bachelor’s degree in nursing from the University of Illinois, and her master’s degree in nursing from Vanderbilt. Before coming to the MNPS Health Care Centers, she worked for a private practice, then spent five years at Vine Hill Community Clinic. Barbara has a daughter and two grandchildren who live in Nashville, and a son who resides in Wyoming. In her spare time, she participates in many activities, including yoga, Pilates, walking and hiking, gardening, cooking and traveling. She enjoys visual art and music events and independent films, and she’s a member of a local book club. Thomas Young is a board-certified psychiatric nurse practitioner. As an undergraduate at Ohio State University, he studied marketing and behavioral economics and volunteered at the suicide crisis line. He completed his training at Vanderbilt University and received his masters of nursing, specializing in psychiatric care. 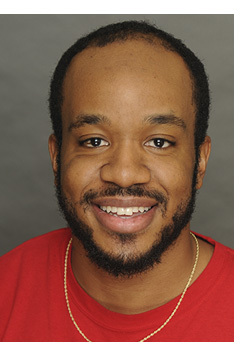 Faculty chose Thomas as the sole recipient of the Joyce Laben Scholarship for his work both in and out of the classroom. He believes personalized care is the key to successful health outcomes. Thomas enjoys eating Indian food, reading, hiking and watching films with friends. 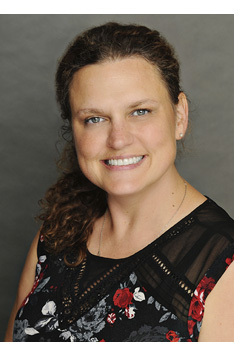 Amy Fortner is a board-certified family nurse practitioner with a master’s degree in nursing from Vanderbilt University. Prior to joining the MNPS Health Care Centers in 2016, she worked in a retail health clinic for nearly 10 years. Amy was born and raised in Nashville. She is happily married and has three children. Her free time is spent shuttling her children to their activities, watching movies, and making trips to the beach and amusement parks. Andi Honeycutt is a board-certified family nurse practitioner. She has worked as an NP for Vanderbilt since 1999, and with the MNPS Health Care Centers since 2013. Before that, she worked for 12 years for an internal medicine physician in private practice. 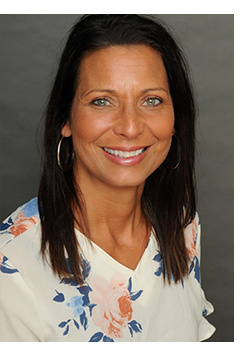 Andi earned a bachelor's degree from Middle Tennessee State University in 1990 and a master's degree in nursing from Vanderbilt University in 1994. She has a special interest in family practice and primary care, with a focus on preventive medicine and chronic disease management. Andi lives in Donelson with her two children, Abbie and Alex, who attend Goodpasture Christian School. She enjoys traveling, photography, hiking, the beach and spending time with her children. 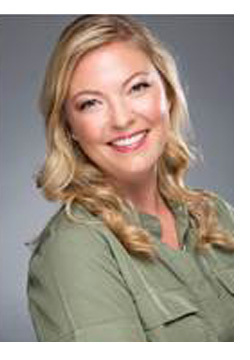 Amy Armstrong is a board-certified family nurse practitioner. She earned a bachelor of science in nursing from Purdue University and received her master’s degree from Vanderbilt University. 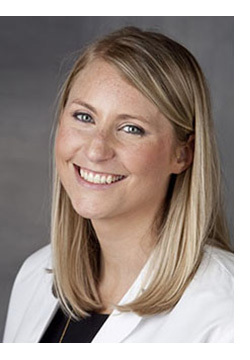 Before coming to MNPS, Amy worked at Duke Primary Care in Chapel Hill, North Carolina. She decided to work in primary care because she enjoys getting to know her patients while helping them achieve their health and wellness goals. She has also completed a 200-hour yoga certification and teaches yoga and mindfulness. Amy and her husband live in Nashville with their two Goldendoodles, Tigger and Kensie. In her down time, Amy enjoys going to exercise classes, trying out new restaurants and traveling. She’s also an avid sports fan and enjoys attending Nashville Predators games a and cheering on the Indianapolis Colts. Brianne Connor is a family nurse practitioner with a nine-year background working in an emergency room setting. She received her bachelor’s degree in nursing from Murray State University in 2002, and her master’s in nursing from the University of South Alabama in 2011. 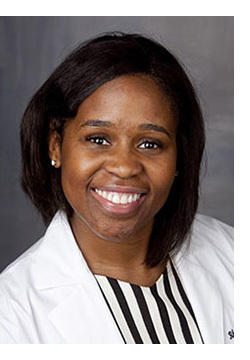 Before coming to the MNPS Health Care Centers in 2015, she practiced family medicine for a county health department and spent a year working at a pain center treating chronic conditions. She has a special interest in preventive care and chronic disease management. Brianne lives in Nashville with her husband, Steven, and her son, Finn. She enjoys practicing Iyengar yoga, traveling, hiking and going to music events. Allison Sullivan is a board-certified family nurse practitioner who joined the MNPS Health Care Centers in September 2017. Before that, she worked in rural health in Western Kentucky for several years. She received her bachelor’s degree from the University of Notre Dame and her master’s degree in nursing from Vanderbilt University. Prior to working as a nurse practitioner, Allison worked in research at Vanderbilt University Medical Center studying type 1 diabetes. In her free time, she likes to read, travel, cook, play trivia, play with Buddy, her labradoodle, and root on Notre Dame's Fighting Irish football team. 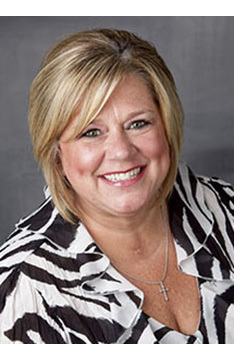 Jeannie Wood is a family nurse practitioner with more than two decades of nursing experience. She received her bachelor’s degree in nursing from Cumberland University, and earned master’s degrees from Tennessee State University in both nursing and education. She has worked as an oral surgery nurse practitioner with Vanderbilt University School of Medicine and Vanderbilt Walk-in clinics. Before becoming an FNP, she worked for Vanderbilt’s critical care and perioperative services. Jeannie is married to a secondary education teacher and has two children — a son, Carson, who is currently enrolled at Union University and Ava, her daughter, who is an avid equestrian. Before coming to the MNPS Health Care Centers, Lacey Cross worked on an inpatient school-age medicine and epilepsy monitoring unit at Vanderbilt Children’s Hospital for six years. She has also been a clinical instructor for nursing programs at both Belmont and Tennessee Technological universities. She earned her bachelor’s degree in nursing at Lipscomb University and her master’s in nursing from Vanderbilt. 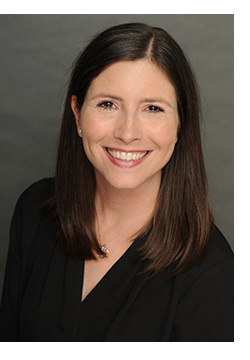 She has a special interest in primary care for patients with both intellectual and developmental disabilities, and their transition of care from pediatric to adult care settings. Lacey is a Nashville native. In her free time, she enjoys traveling, reading, going for walks in her neighborhood and seeing Celine Dion in concert as often as possible. Items currently at the top of her bucket list include seeing humpback whales in Hawaii or Alaska and completing a triathlon. Rhonda Hollins-Dortch, a family nurse practitioner, received her bachelor’s degree in nursing from the University of Tennessee Chattanooga and her master’s in nursing from the University of Tennessee Memphis. Before coming to the MNPS Health Care Centers, she worked at Memphis Health Center, Le Bonheur Children’s Hospital and Vanderbilt Children’s Hospital. She has also worked at Wellness Solutions, Well Child and Minute Clinic. She’s a member of the Tennessee Nurses Association.Rhonda is married to Marcus Dortch and has two children, Collin and Reese. She enjoys traveling, reading, going to the movies, shopping and trying new Pinterest recipes. Ashlee Lecorps is a board-certified family nurse practitioner (FNP) who has worked at the MNPS Health Care Centers since 2013. She holds a bachelor of science degree in nursing from Belmont University and a master’s degree in nursing from Union University. 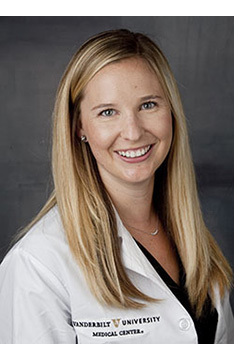 Prior to becoming an FNP, Ashlee practiced as a registered nurse in the thoracic unit at Brigham and Women’s Hospital in Boston and the cardiac step-down unit at Vanderbilt University Hospital in Nashville. Ashlee lives in Nashville with her husband Jacques. In her free time, she enjoys spending time with her friends and family, traveling, trying new restaurants and hiking with her dogs. Louisa Tur is a board-certified family nurse practitioner. She received her master's degree in nursing science from Vanderbilt University. She worked as a nurse practitioner in rural health outside Chattanooga and joined the MNPS Health Care Centers in 2017. Prior to becoming an advanced practice nurse, Louisa worked in public health in eastern Africa for several years. She continues to be passionate about public health initiatives and the role of primary care in disease prevention. She lives in Nashville with her husband, Jeremy, and their dog, Frank. In her down time, she enjoys hiking, running and spending time in the great outdoors.